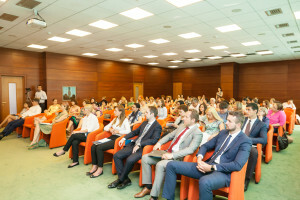 Bucharest, 9th of August 2016: Tens of physicians participated in the seminar organised in Bucharest by Muşat & Asociaţii, “”The Medical Profession – Opportunities and challenges in the current legislative context”. The event is dedicated both to physicians in the public health system, and to those in the private system. “We considered extremely important, especially in the current context of the deficiencies of the health system, to explain to physicians how do the actions or activities they perform in good-faith come to be criminally investigated. 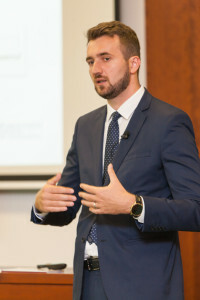 Also, starting from the many files in which we provide legal assistance to professionals in the health system, we discussed and analysed how they may efficiently build and manage their medical practice, irrespective of the chosen form of organisation or exercise, so they avoid the conflict of interests or prevent special situations, such as those of criminal type”, said Mădălin Enache, Partner Mușat & Asociații, coordinator of the Business Criminal Law practice. “The profession of physician is exposed to many risks generated by serious deficiencies of the Romanian health system, which physicians are not responsible for, but also by the legislative inconsistency. The law regulating the exercise of the medical profession is continuously changing, for example Health Law No. 95/2006 has been many times amended over the last years, but there are still certain unclear aspects and contradictory interpretations in relation to the limits within which a physician may carry out his activity. 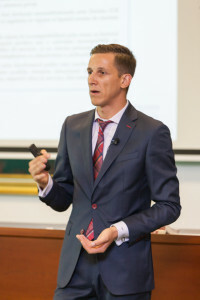 In this context, at the seminar we discussed aspects such as conflict of interests, incompatibility, participation in national and international congresses, obligation to declare sponsorships and revenues, purchase of medicinal products, medical devices and sanitation supplies, but also issues of criminal nature that may occur in exercising the medical profession.”, mentioned Dan Minoiu, Managing Associate Mușat & Asociații. Over 70 physicians with different specialties, from all over the country, participated in the event. They showed their appreciation for the initiative of Mușat & Asociații and ensured, in return, a quality, interactive and constructive dialogue. Due to its success, but also to the many participation requests, the seminar will also be organised in other cities all over the country; it is already scheduled for 11 August in Cluj-Napoca. 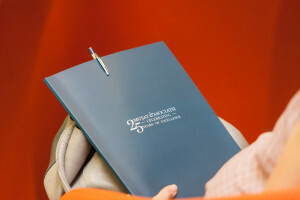 Both debates are part of a wide series of events, in which specific issues that concern the regulation of the Romanian health system shall be addressed. Muşat & Asociaţii is the Romanian law firm annually recognized, at national and international level, for its excellent results. Always one step ahead in the business law practice, the Muşat & Asociaţii specialists have always anticipated the constantly changing needs of clients, proposing different approaches and launching new practice areas.